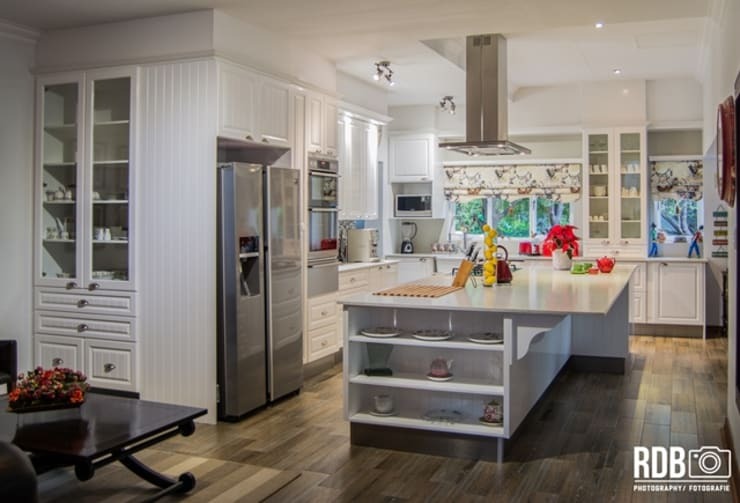 Our newest homify 360° comes to us from the expert kitchen manufacturers Ergo Designer Kitchens And Cabinetry in Pretoria. And the design that they’re sharing with us is definitely something that is sure to tickle any kitchen lover’s interests, regardless of personal taste or preference. This French provincial kitchen moves away from ultra modern design and treats us to a vintage-style look by including all the right touches: wooden finishes, soft colours, and an overall homely feeling. In addition, it also exudes an ambiance of charm and romance that transports us back in time to a simpler life where the entire family used to gather in the kitchen for homemade bread and freshly brewed coffee. Not that we have anything against modern designs or sleek finishes, but there is just something so deliciously warm and inviting about this kitchen’s old-style look! Makes you want to pull up a chair and sit down while enjoying a long-overdue chat with a friend (while tantalising scents waft up from the oven, obviously). 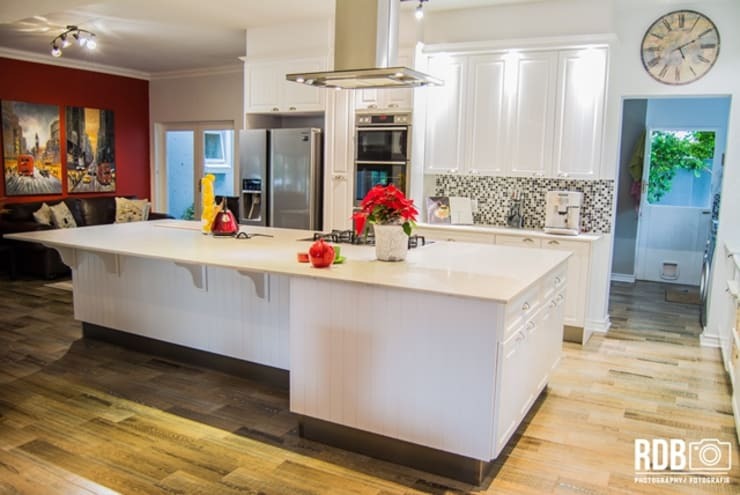 And speaking of sitting, just see how generously proportioned this island is – yes, we know that most people use theirs for the additional working surfaces, but of course it can also double up as an informal dining/seating space. 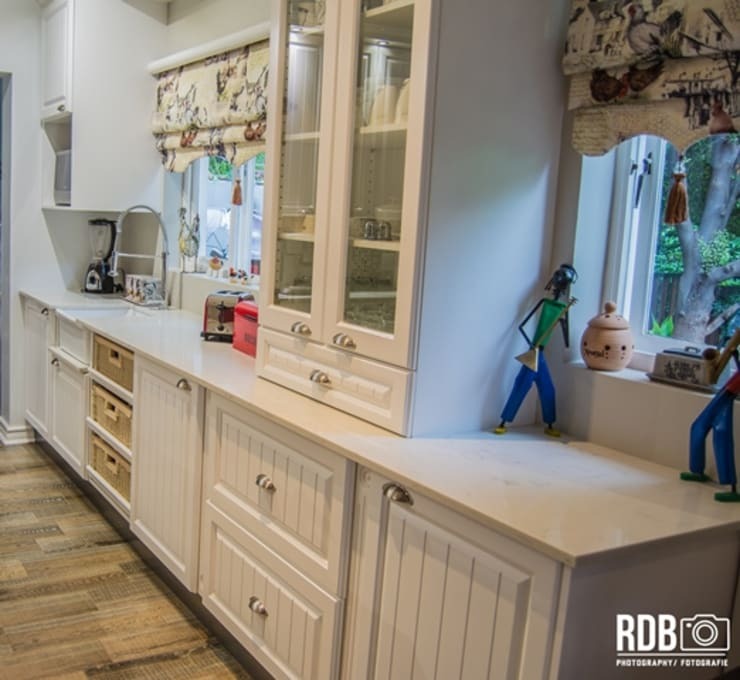 But let’s not forget that a kitchen is, first and foremost, a working zone, leading to the requirement of many storage areas – well, this example perfectly caters for that as well, thanks to the cabinetry’s designs. We especially love the wicker baskets replacing the drawers: another cute-and-quant touch that earns this kitchen design full marks. We close off with this look at the island’s open-shelf design, flaunting not a decadent selection of cookbooks, but some top-notch crockery pieces speaking of the owners’ taste and personality. 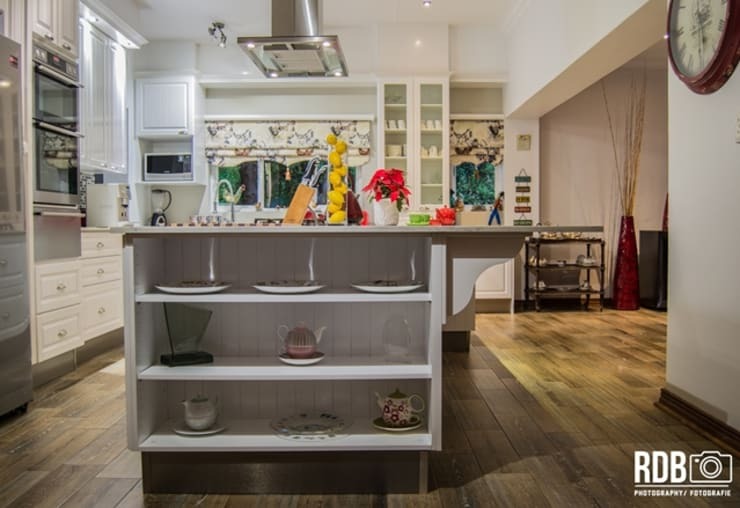 And let’s not forget that it also helps to introduce some additional colours and patterns into the kitchen’s design. Most definitely a splendid example of how old is not necessarily bad! You don’t want to miss these 24 kitchen layouts and designs for maximum style and efficiency. Share your thoughts on this kitchen’s design in our comments section, below!